Casino Tournaments are becoming more and more popular with players as software providers work to improve on the experience and make is as realistic as possible with the same excitement as live events not to mention more action at the fraction of a regular slot play. It is a contest where various players play a casino game for a pre-determined amount of time using a specific amount of funds provided. Aim is to accumulate as much balance as possible by playing the game wisely. A player’s success level is determined by his/ her ranking against other players. Tournaments can be offered for a number of games. You can enter a Tournament by paying an Entry fee. Once tournament starts, you will get a pre-determined amount in tournament funds to play with. You can play until you run out of funds or the play time finishes, whichever comes first. At the end of a tournament, your ranking is determined by comparing your end balance with end balances of various other players part of this tournament. If your balance is higher than other players, you will have a comparatively higher ranking and vice versa.If you have no remaining funds in the tournament, some tournaments also offer the re-buy option, which allows you to keep playing in a tournament by paying an additional Re-buy fee. To help you understand the concept behind Slot Tournaments Rules we have outlined some points generally common in all tournaments. There are a few different types of tournaments with certain sites offering variations on these. Freerolls are just that, Free! They do not cost anything to enter even though you stand to win real money. In most of these types of tournaments the prizes are usually small compared to the buy-in type tournament. Online casino’s usually offer a daily free roll, weekly free roll or sometimes a monthly free roll. 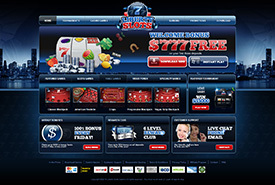 Most often the games used for these free roll tournaments are slot games. There are two types of scheduled tournaments. Both have buy-ins, a predetermined game, with a set start and end time. Some are usually for a couple hours to a week or even a month. These buy-in tournaments tend to attract a lot less registrations usually because of the fee to enter. The main difference between them is that one Prize is fixed by the casino operator and is shared amongst the winners. The other Prize is Variable or percentage based on the number of entrant fees and buy-ins that take place during the actual tournament. Eg. The house will say 70% of the buy-ins will go towards the prize. That means if there were $5000 in entry fees and buy-ins, the prize would be $3500. The Invitational Tournament is designed for inviting the casino’s most important players. This is an invitational tournament for those who are members of usually the higher level segments or high rollers. Entry is usually free to start with a predetermined buy in amount. You tend to find these tournaments use Table Games for such a Tournament. 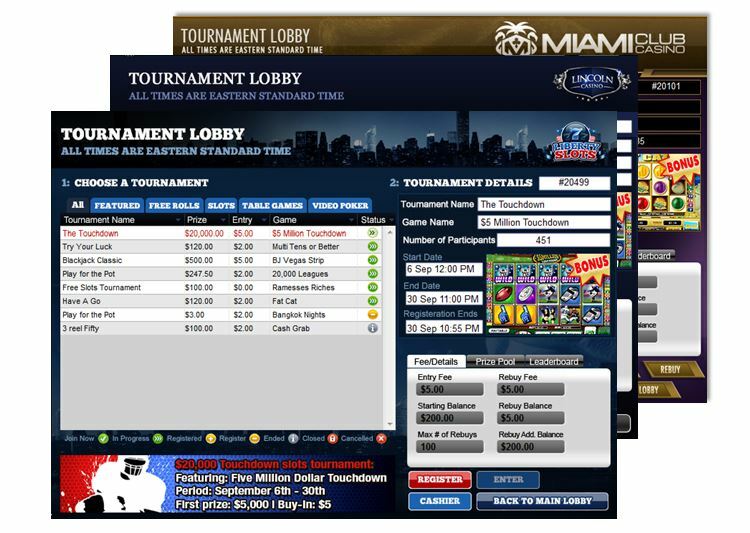 After selecting the Tournament Tab from the main casino lobby, you will be presented with the tournament lobby. In order to register for a tournament, you would select a tournament in the list of tournaments followed by clicking on the Register button located in the bottom panel of the casino window. The Sign-up Confirmation message box will be displayed and will ask you to confirm your entry in the tournament. Click on YES to confirm your entry into the tournament, click on NO to return to the tournament screen without registering. Once you register, Entry fee will be deducted from your casino account balance. You can withdraw from a tournament you have registered for, before it begins and your entry fee will be refunded back to your casino account. If a tournament is cancelled, your entry fee will automatically be refunded to your casino account. Some Tournaments are Free to enter; meaning you do not have to make a purchase in order to play in a tournament. These are referred to as “Free Roll” Tournaments. 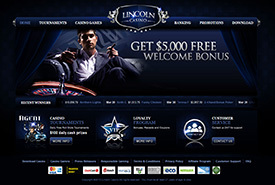 In order to be eligible to enter these Free Roll Tournaments at Miami Club, Liberty Slots or Lincoln Casino, you have to validate your email address. In signing up at the casino’s you receive a Welcome Email with a validation link that is required for you to validate in order to play Free Roll Tournaments. Click on ‘Tournaments’ button in the menu bar. The Tournament Lobby will be displayed. The left-hand side of the screen shows the List of Upcoming Tournaments, Tournaments in Progress, Completed Tournaments and Cancelled Tournaments (if any). Once you select a tournament from the left hand side, all the details of this tournament will be shown on the right hand side of the screen. Tournament Name: This is the name given to this particular tournament. Tournament ID: A unique Id assigned to this tournament. Tournament Status: The status shows the progress of the tournament, for example, “Join Now”, “In Progress”, “Completed”, “Cancelled”. Game : This identifies the game to be played during a tournament, for example, Blackjack, Roulette, Craps, Slots. Prize: Real prize amount in this tournament. Bonus: Bonus prize amount offered in this tournament. Fee: Entry fee required to enter this tournament. Start Date: Specifies the point in time when tournament play begins, for example June 1, 2013. End Date: Specifies the point in time when tournament play ends, for example June 23, 2013. You can start playing in a tournament any time after you have registered and any time after the start date/time. 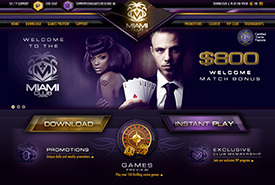 To play, simply select the tournament and click on the Enter button located in the bottom panel of casino window. The game window will open. You are ready to begin playing. Balance: Your available balance for game play. This balance is your Tournament balance and is different from your Actual balance in the casino. This balance is used to calculate your ranking against other players when the Tournament ends. Bets to Qualify : Number of bets you needs to play before you are assigned a rank. This field is replaced by Rank field as soon as you pass the minimum number of bets required. Rank : This field displays your ranking against other players playing in the same tournament. Once assigned, this rank will change as your balance increases / decreases and will later be used to determine if you are one of the winners in this tournament. Total Bets : Number of bets you have played so far since the tournament started. Time remaining: Time remaining before this tournament Ends. You can continue to play until your Tournament funds are exhausted or until the Tournament ends, whichever comes first. Re-buy option is also offered in some tournaments which allows you to keep playing in a tournament by paying an additional re-buy fee. See Re-buying into a tournament section for more details. Note: Bets to qualify requirements needs to be met before you can qualify to win any prize amount. If the tournament ends and you have not met the requirements, you will not be eligible to compete for any prizes offered. Number of Participants: Number of players who have registered to play in this tournament. Start Date: Specifies the point in time when tournament play begins, for example, January 1, 2013 12:01AM EST. End Date: Specifies the point in time when tournament play ends, for example, March 23, 2013 12:00 AM EST. Registration Ends: Time after which players cannot register for this tournament. Entry Fee: The amount charged to a user to enter tournament play. Starting Balance: The amount of money credited to the ‘tournament account’ of all players prior to the beginning of a round of play. Rebuy balance: Your tournament balance, at which re-buy option will become available. Rebuy Fee: Fee required to re-buy. This fee is deducted from your casino account balance. Rebuy add. # bets: Minimum number of bets you need to play in order to qualify for a winning after re-buying. Rebuy add. balance: Funds added to your tournament balance after Re-buy. Min # of Bets: Minimum number of bets you need to play in order to qualify for a winning. Prizes: List of Prizes in this tournament. Prizes can either be in the form of Real chips and/or Bonus chips. This section also displays the number of potential players who can win each prize. Your Tournament Status: Your status in this tournament. Re-buy option allows you to keep playing in a Tournament if you run out of tournament funds. You will need to pay a Re-buy Fee in order to get additional funds to play in a Tournament. Not all Tournaments offer the Re-buy option. added to any bets remaining to qualify from your earlier game play. If Re-buy option is not available, details listed above will not appear and re-buy will display as Not Available in the Tournament Details window. You can re-buy either from within a game or from the tournament lobby. This option button will become enabled once all re-buy requirements are met. Once you re-buy, you can continue playing the game. Upcoming – Register Now: When Tournament has not started and you can Register. Upcoming – Registered: When Tournament has not started and you have already registered for this tournament. In Progress – Join Now: When a Tournament starts and you have registered for it. In Progress – Register and Join Now: When a tournament has started but is still registering new players. In Progress – Registration Closed: When no further registrations for the tournament are permitted. Completed: When the tournament is completed. Cancelled: When a tournament has been cancelled. Sold Out: When maximum numbers of players have signed up for the tournament. Note: A Tournament will automatically cancel if not enough entrants are registered for the Tournament to start. Usually the minimum entrant is 2 players. Register: Click on this button to Register for a Tournament. Enter: Click on Enter to start playing in a Tournament. Withdraw: Click on Withdraw to cancel your registration before Tournament starts. Re-buy: Click on Re-buy in order to re-buy into the tournament. Back to Lobby: Takes you back to the Casino lobby from Tournament lobby. Tournament Lobby: Takes you back to Tournament Lobby from the tournament game. If you win, your prize is added to your casino account balance. In general, prizes are paid immediately upon completion of the tournament and verification of tournament results. Fixed Prize: Where the prize amount is fixed. Variable Prize: Where the prize amount is a percentage of the total pool. Since its variable, potential prizes will increase as more people join the tournament. Real Prize: Winning amount is added to your Real account balance if you win. Bonus Prize: Winning amount is added to your Bonus account balance if you win. Result of tournament is based on rankings of all players against each other when the tournament ends. In case of a tie between two or more players, the casino reserves the right to determine the winner (s) and allocate prizes accordingly.